If there are network tools for troubleshooting complex corporate networks, then surely there must be simpler, low-end tools to assist the home or small-business network administrator. That was Victor Bahl’s assumption when he went in search of solutions for managing his home network. 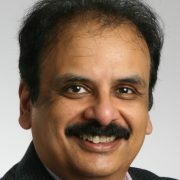 But Bahl, principal researcher and manager of Microsoft Research Redmond’s Networking Research Group (NRG) was surprised to find that even though small and medium businesses (SMB) constitute a multibillion-dollar market, he could not find any off-the-shelf products to address SMB networking needs. Microsoft Redmond’s NetMedic team (from left): Sharad Agarwal, Jitendra Padhye, Victor Bahl, Ratul Mahajan, and Srikanth Kandula. What he found—or rather, didn’t find—led Bahl and Ratul Mahajan, NRG researcher, to delve into the surprisingly complex issues that challenge the development of diagnostic tools for small networks. Together with colleagues Srikanth Kandula; Patrick Verkaik of the University of California, San Diego; Sharad Agarwal; and Jitendra Padhye, Bahl and Mahajan developed NetMedic, a research prototype that addresses management problems inherent in small networks. The team presented NetMedic, and its accompanying technical paper, Detailed Diagnosis in Enterprise Networks, during SIGCOMM 2009, the annual conference of the Association for Computing Machinery’s Special Interest Group on Data Communications. There are two reasons why simply scaling down enterprise solutions will not work for small networks: granularity and richness of topology. Enterprise diagnostics take a broad-brush approach to the problem; in large networks, where applications run on dedicated servers, pinpointing problems down to the server level is often enough for an experienced network administrator. But in a home or SMB network, a single server could run multiple applications, so troubleshooting needs to be more granular and must identify the problem more precisely. Large networks also have a richer topology, with many server and client processes, so it’s easier to identify problem sources through fault correlation. Mahajan offers a simple example. 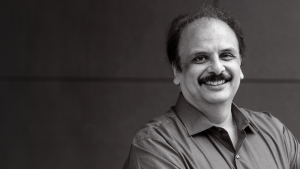 “Victor and I have offices close to each other, but given the size and richness of our corporate network, he may connect to a different Web server than I do, even if we use the same router,” Mahajan says. “So if my browser slows down to a crawl while he experiences no problems, it’s very likely that the problem is due to the Web server I’m connected to and not our shared router. Another critical reason is that enterprises have more resources, more tools, and experienced, full-time network administrators, whereas the small business or home user will try to manage the network themselves or summon part-time help. It was obvious to the research team that the more handholding a diagnosis tool could deliver, the more valuable it would be for home and SMB users. To add to their understanding of small-network problems, the researchers obtained data from one of the Microsoft Customer Service and Support groups. The researchers read through SMB case logs with the goal of classifying problems and causes, studying symptoms ranging from application-specific errors to performance and reachability issues, and classifying diverse underlying causes such as software bugs, configuration changes, and unexpected side effects from software updates. While it is fairly straightforward to design solutions for each type of problem or application, it is challenging to design a system that accommodates all problems—a goal the researchers decided they would tackle. The NetMedic team wanted a system that would diagnose application problems both specific and generic, identifying problem causes as granularly as possible: down to the faulty process, incorrect configuration, or incorrect update. The system also had to be application-agnostic, because it’s impossible for a general diagnostic system to contain knowledge of every possible application. These goals were seemingly paradoxical: to detect application-specific faults without any application knowledge. For the researchers, their goals disqualified a rules-based approach, because, by definition, the system would need prior knowledge of applications and possible faults. The team decided to treat the work as an inference problem, to capture the behaviors and interactions of network components and to solve the challenge of determining when one component might be impacting another. The researchers didn’t throw out everything from the enterprise space. They realized they could leverage some of the same concepts, applied differently. One thing they needed was a rich network model. The researchers implemented this concept in NetMedic by first having it collect data about the network, then generating a dependency graph consisting of components such as application processes, host machines, and configuration elements. To represent interaction between components, an edge connects two components if the source directly impacts the destination. Next, the team needed to solve how to determine reliably whether a component failure impacts another component. 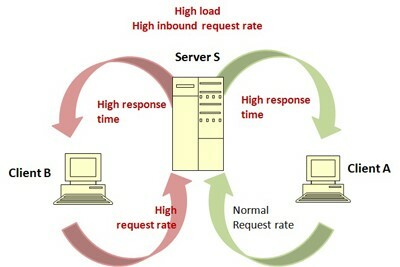 Current network-management systems for enterprises can identify an overloaded Server S as being responsible for Client A’s slow response times. NetMedic’s goal is to identify Client B as the true culprit. “When you look at existing models based on dependency graphs,” Mahajan explains, “there is a rather binary status of faulty/healthy. If a component breaks, you assume that its dependent components also break. But this is not always true in a heterogeneous shared environment. For instance, an application might get overloaded and take up a lot of CPU cycles, but this only affects other applications if it consumes resources to the point where it slows down the system. Historical data provided the detail they needed. By monitoring component behavior and maintaining a historical database, NetMedic can compare abnormal component behavior to normal behavior. The result is a ranked list of the components most likely responsible for a problem. The combination of dependency graphs and historical data enabled the researchers to infer process interactions even though the dependency graph itself contained no knowledge of those interactions. The NetMedic prototype went through its paces in a live deployment consisting of a server and 10 active volunteers on desktop machines. The server hosted multiple applications, including a Microsoft Exchange e-mail server, an Internet Information Services Web server, and a Microsoft SQL Server database. The team instrumented the volunteers’ desktops and then injected faults similar to those documented in the case logs studied. NetMedic put the offending component at the top of the ranked list 80 percent of the time. In the other cases, NetMedic almost always managed to rank the culprit in the top five. NetMedic has met the research team’s goal of providing more useful information and handholding to SMB network users and administrators by effectively pinpointing the source of network problems at a granular component level. Equally important to the researchers, NetMedic has proved that an application-agnostic network-management system is capable of detecting application-specific faults. Speaking of the future, is the NetMedic team planning to extend this work into the realm of automatic problem repair? Bahl and Mahajan laugh at the question. But Mahajan notes that providing more detail in identifying the root causes of problems makes it easier to go down that road. Episode 37, August 15, 2018 - In our first live podcast, Dr. Bahl shares some fascinating stories from his long and illustrious career, gives us an inside look at what’s new in networking, and, explains why, in an industry where it pays to be the smartest person in the room, it’s important to be a world-class listener.